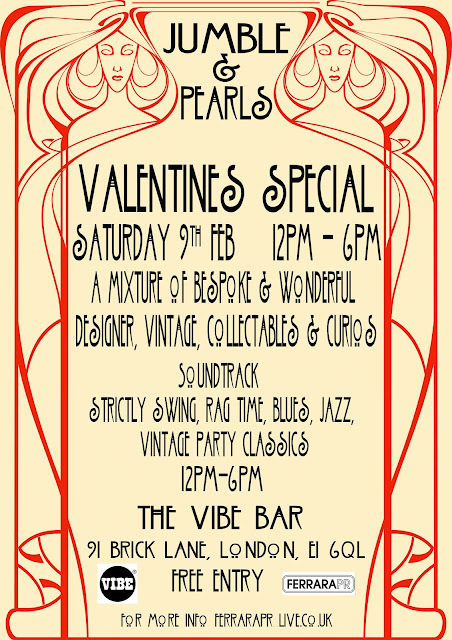 This Saturday coming I will be selling cakes, sweets and treats at the brilliant Jumble and Pearls vintage fair, at The Vibe Bar on Brick Lane. 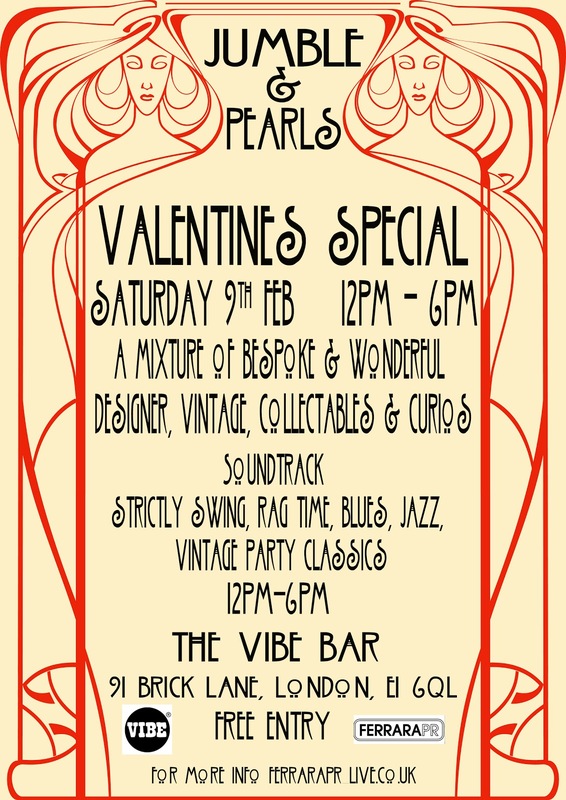 I will be there from 11-6 on Saturday 9th February, so do come along if you're in the area, and say hi! There are over 15 stalls, selling vintage ladies clothes, men's ethical clothing, jewellery and much, much more. I will be selling - banana cakes, blue baked cheesecake, berry cheesecake, ninja bread men, salted caramel peanut brownies, fruit and chocolate brownie slabs, pecan choccy bites, coconut ice, salted chocolate truffles, caramel flapjacks, and heart shaped shortbreads.